It’s been a full year since the International Maritime Organization (IMO) launched the Polar Code to enhance the protection of seafarers and the environment in Arctic and Antarctic regions. As ship owners and operators now work to ensure compliance, Viking Life-Saving Equipment says it stands ready to throw them a lifeline. The global provider offers a complete range of safety solutions for passenger and cargo vessels operating under the Polar Code. While the Polar Code relies on goal-based rather than prescriptive standards, and with specific solutions subject to approval by a relevant flag state or its Recognized Organization, compliance can be a complicated matter. “As the first and only global provider, Viking offers a complete range of safety products and solutions for Polar applications and our global team of experts stand ready to assist in specifying the optimal solution for any operational environment,” Carlsen states. When it comes to specific safety solutions, Viking was first to develop special Polar liferafts operational down to -50° C, along with Polar immersion suits tested down to -62° C. Both solutions are widely used by operators navigating cold and icy waters today. In addition, Viking has developed special winterized marine and offshore evacuation systems for safe mass evacuation in cold climates, while an exhaustive portfolio of life-saving and firefighting appliances serves as a guarantee that Viking can always put together a complete safety package, including personal and group survival kits, as specified in the Polar Code. 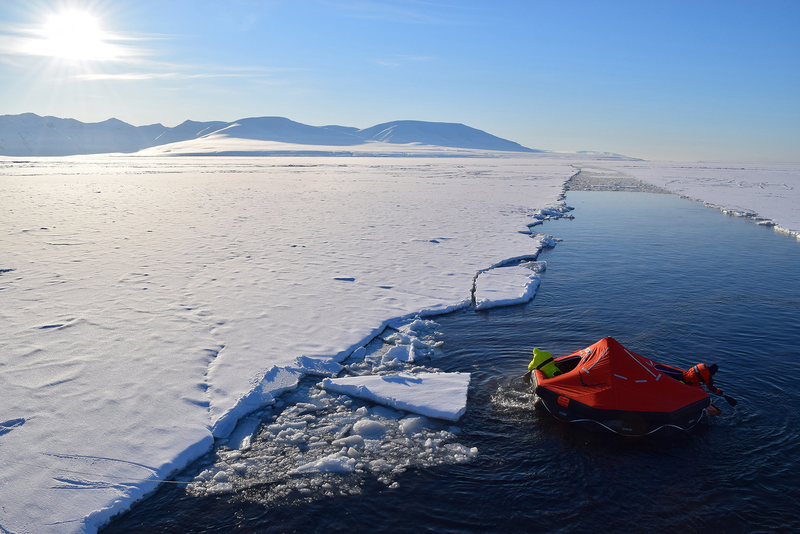 Viking has actively contributed to, and participated in, both of the SARex expeditions in Svalbard, revealing potential gaps between existing safety equipment and the demands of the Polar Code. Here, Viking equipment was put through extensive full-scale tests, building on our unique insights into Polar risks and how best to mitigate them through equipment performance. Each year tens of thousands of tourists visit the areas covered by the Polar Code, and as these regions become ever more accessible, these figures are expected to keep growing. The advent of the Polar Code is a passenger safety milestone and while experienced operators may need to review, adapt and formalize current setups, newcomers face a more challenging journey towards compliance. Undoubtedly, Code requirements such as those for five-day survival, ice-proof solutions, let alone the availability of immersion suits on vessels carrying hundreds or thousands of people, remain steep challenges to be managed.